Our third issue of the summer is now available for online viewing. Log in HERE to view. We release two digital issues between each print issue, totaling 12 issues a year and three issues per season. 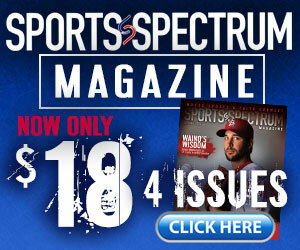 To receive 12 issues of Sports Spectrum magazine, subscribe HERE. 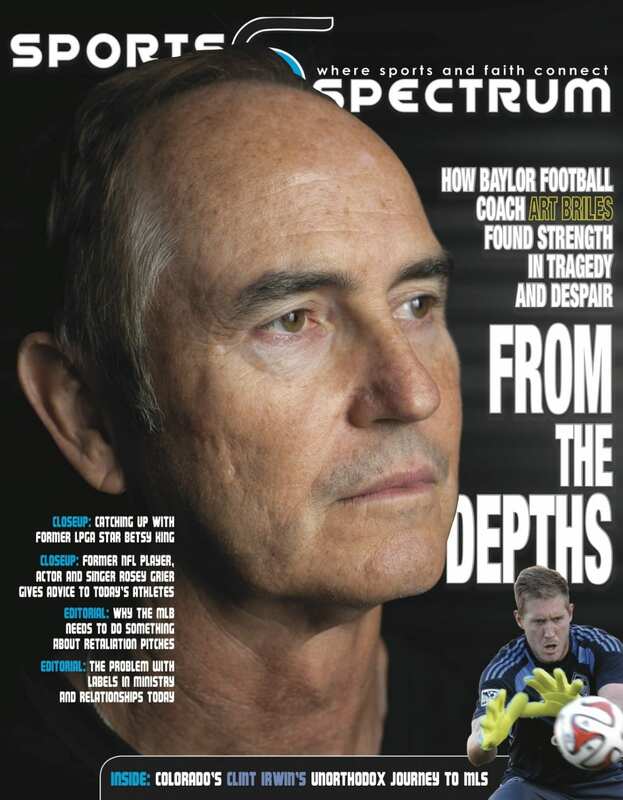 This issue includes exclusive feature stories on Colorado Rapids goalkeeper Clint Irwin and his unorthodox journey to Major League Soccer, and Baylor University head football coach Art Briles and his journey of God-discovery in the midst of tragedy and despair. Our closeups include 30-year anniversary stories on former LPGA star Betsy King and former NFL player, actor and performer Rosey Grier. In our editorials, managing editor Brett Honeycutt addresses retaliatory pitches in Major League Baseball, staff writer and columnist Stephen Copeland talks about shying away from labels in ministry and relationships, and “UNPACKIN’ it” podcast host Bryce Johnson interviews NFL Red Zone host Scott Hanson.